b. 18 Jan. 1764,1 o.s. of Samuel Whitbread I* by 1st w. educ. Eton 1775-80; Christ Church, Oxf. 1780; St. John’s, Camb. 1782. m. 26 Jan. 1788, Elizabeth, da. of Lt.-Gen. Sir Charles Grey of Fallodon, Northumb., 2s. 2da. suc. fa. 1796. Lt.-col. commdt. Bedford vol. inf. 1803, 1 batt. Beds. militia 1809. Whitbread, who came to Grey’s defence against an attempt to smear him as a Jacobin, 26 Nov., and voted in the small minorities for Tierney’s censure motion, 27 Nov., and Sheridan’s call for peace negotiations, 1 Dec. 1800, resumed parliamentary activity in 1801, when he seconded Grey’s amendment to the address, 2 Feb., and damned Pitt’s fallen ministry, 16 Feb. He divided regularly with the Foxite opposition to Addington for the rest of the session and spoke frequently against the Irish martial law bill. He seconded Grey’s censure motion, 25 Mar., and tried to obstruct the indemnity bill, 11 June 1801. He approved Grey’s refusal to bargain with Addington at the end of the year. When Thomas Tyrwhitt* approached him to discuss the Prince of Wales’s right to arrears of duchy of Cornwall revenues, Whitbread ‘gave him no encouragement’, and he did not vote to investigate the matter, 31 Mar. 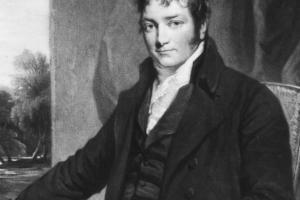 1802.8 In the debate on the budget, 5 Apr., he welcomed the proposed repeal of the income tax, but objected to the beer and malt duty, against which he divided the House, 13 Apr. Unable to accept either Windham’s censure of the peace settlement or the wording of the ministerial amendment, 14 May, he abstained from the division. Whitbread, who was worried by signs of impending war during the recess, lamented the use of irritating language by both governments, 23 Nov., and deplored the augmented military estimates, 8 Dec. 1802. He did not vote for inquiry into the Prince’s financial claims, 4 Mar. He decried the renewal of war when supporting Grey’s protest, 24 May, and his ‘despondent feelings’ were intensified by Addington’s budget of heavy taxes and his proposal to raise a reserve army of 50,000 men, on which he ‘longed to speak’ but did not do so for fear of wanting adequate ‘support or cover’. He agreed with Fox that if Pitt came out against the government the resultant ‘coalition of feeling in opposition to the Doctor’ could not be ignored, but he was averse to ‘any previous communication’ with Pitt. He criticized the volunteer consolidation bill, 8 Feb., and again 9 and 19 Mar. 1804, after recovering, as Grey reported, from ‘one of those unpleasant attacks in his head which alarm him so much’. He was active in the final stages of the attack on Addington, when Fox told Grey that on him, Lord Lauderdale and Whitbread ‘must now and always be my only real dependence in politics’, though he later hinted to Grey that Whitbread would not be one of those who would ‘take the most active parts in case of arrangements’ to form a broad-based administration.9 He opposed Pitt’s additional force bill in June and on the 22nd got 82 votes for his attempt to censure the lord advocate, Charles Hope*, over an incident concerning the volunteers. At the same time, he did not enjoy the practical and moral support which he might have expected from his political allies in the ‘Talents’ ministry. His initial success in the parliamentary campaign brought immediate gains for opposition, by driving Lord Sidmouth and his followers out of Pitt’s already feeble government. In ensuring that Melville never again held office, he struck a blow for probity in the conduct of public affairs and his pursuit of corruption helped to stimulate the revival of political radicalism. Whitbread, who showed in his energetic pursuit of the business something of an honest tradesman’s relish in exposing the shady dealings of well-connected people high in public trust, regarded the events of 1805 as a great personal triumph; and his reputation had certainly been enhanced by it when the Foxites came to power in the Grenville coalition ministry early the following year. His failure to secure office with them marked the turning point in his political career. Whitbread had an inferiority complex about the fact that he had ‘no family to boast of’, yet his self-esteem informed him that his talents deserved due recognition. Considering himself at least equal in worth to the aristocratic order represented by Grey and Fox, but fearing rejection by them as a social inferior, he lacked the self-confidence to make a forthright claim to office and appears to have said something to the effect that he did not wish to be considered if his inclusion would create difficulties. When Grey and Fox, hard-pressed to cater for their friends, in whose pecking order for advancement Whitbread ranked less high than he imagined, took him at his word, he was unable to conceal his disappointment. Grey, who had little insight into his character and was not free from aristocratic distaste for his coarseness and rough manners, was taken aback, but held out hopes of reaching an arrangement, with specific reference to the secretaryship at war. Yet Whitbread returned to London on 7 Feb. 1806 from a brief excursion to Bedfordshire feeling that his stock had been lowered in the eyes of his entourage of local hangers-on, and ‘more uneasy in my obscurity than when I went down’, as he confessed to Grey, whom he turned on in anger when they discussed the problem the following day. Grey unhappily replied that if Whitbread had made his feelings clear in the first place, he would have refused to take office without him; that, as he had agreed in their earlier talks, his involvement in trade disqualified him from the Exchequer, the only available cabinet office; and that regarding the secretaryship at war, which was earmarked for Fitzpatrick, Fox’s oldest political crony, he had been powerless to do more than make Whitbread’s wishes known to Fox and leave it to him ‘to take the necessary steps’. In response to this, Whitbread, his temper cooled, absolved Grey from blame; explained that he had spoken heatedly because of his impression that Grey, who had somewhat casually remarked that he should sell the brewery, thought his involvement in trade disqualified him from ‘every high situation’; admitted to disappointment at the readiness with which he had been passed over, and claimed ‘the offer of the first situation compatible with my credit’.11 He took little part in debate in 1806, when his only significant contributions were vindications of the ministry’s military arrangements, 21 May and 6 June. Whitbread had been appointed to the finance committee, 10 Feb. 1807, but had been unable to attend it and had no complaints when he was omitted from the revived committee, 30 June. His motion for inquiry into the state of the nation, 6 July, when he protested against Melville’s readmission to the Privy Council, was defeated by 322 votes to 136. He supported inquiry into Members’ places and pensions, 7 July, attacked the militia transfer bill, 27 July, and endorsed Bankes’s call for a moratorium on reversions pending the introduction of a new bill, 10 Aug. He defended Howick and the late government against Canning’s insinuations that they had broken faith with the Allies, 7 Aug., and Holland later wrote that he then ‘seemed to have forgotten those differences which had arisen in office’.15 On 10 Aug., however, he declared his belief that the present juncture was ‘peculiarly favourable for the restoration of peace upon honourable terms’. [Grey] does not understand my feelings upon subjects of this sort ... I want not to be the leader of his party ... But I am mortified in supposing that he, above all other persons, questions my capacity; and I am disappointed because he does not show at any time (except in very particular emergencies) any belief that I could assist him ... He imagines I want him to push me forward. I neither wish him to do it, nor has he the power. I shall find my level and have always found it without his assistance, and my estimation with the country I would not change for his ... Grey talks ... of stern virtue and disregard of great political obligations ... which I cannot but suppose means to glance at me. But in truth I have no great political obligations to any person. I have some disobligation to most of the late cabinet personally for having acquitted Melville, which they did by abandoning the trial. more violent than ever, bursting, and sometimes almost inarticulate with passion, yet often very able, and his passion most inflated in reply ... the little support he had was supposed to have caused much of Whitbread’s spleen. He fell sometimes into downright bellowing with rage. On several occasions he called for conciliation of America, an end to commercial warfare and the alleviation of domestic distress, and on 9 July he put the case for the Bank’s resumption of cash payments. He was anxious to ensure that, under the terms of the militia interchange bill, Catholics serving in England should suffer no interference with their religious practice, and made what Tierney thought ‘a grand splash’ in support of Catholic relief, 31 May. He castigated the treachery and cowardice of the Spaniards, 1 Apr., but made an important recantation, 1 May, when he praised Wellington and ministers for what had proved to be ‘a masterly plan’, though he reminded them that ‘the only legitimate object of every war, and of this above all wars’, was peace. Tempted as he was by the lure of office, his enthusiasm for the parliamentary reform movement had waned. His sole gesture in that direction was the presentation of a petition from Kent, 11 June, and he refused to become involved in Cartwright’s ill-fated scheme to form a working alliance between the Whig reformers and the radicals.34 He urged the trial of a negotiation for an honourable peace in Europe, 5 June, and next day joined in the protest against the reappointment of the Duke of York as commander-in-chief. Still interested in the question of the King’s health, he moved for inquiry into the state of the nation with a view to providing for all eventualities, 7 June, but got little support. Whitbread opposed the bill imposing capital punishment for frame-breaking, 14 and 17 Feb., and spoke for abolition of the sinecure paymastership, 23 Feb., and inquiry into the state of the nation, 27 Feb., when Canning admitted that he gave him no cause for personal offence. The ‘usual force’ of his delivery was ‘diminished by a pain in the face’ when he spoke against the orders in council, 3 Mar. ; but on the Maynooth grant six days later he bandied words with Perceval with his usual gusto. He had another angry exchange with the premier on 13 Apr., when he called for peace. He opposed McMahon’s appointment, 14 Apr. ; presented Wyvill’s petitions for liberty of conscience, 17 Apr., spoke for Catholic relief, 24 Apr., and voted for the sinecure bill, 4 May. Grenville was angered by Creevey’s notice of a motion to restrict the profits of the tellerships of Exchequer, one of which was held by his brother, but Grey exonerated Whitbread from any collusion in the business and indeed got him to try to persuade Creevey to drop it. Creevey merely postponed it, and when he moved it on 7 May, Whitbread, despite Grey’s entreaties, supported him, though he voted initially for Brand’s amendment to search for precedents. Grenville accepted that he had acted without malice but, in view of the sentiments expressed by him then and at a recent City dinner, renounced all future political co-operation with him. Although Grey stressed his relative moderation on the tellership question and observed that, apart from his praise of Burdett, there had been nothing outrageous in his speech at the dinner, he could not dispute Grenville’s decision. Whitbread supported Brand’s parliamentary reform scheme, 8 May, paid a generous tribute to the murdered Perceval, 13 May, but resisted proposals to recompense his family as reward for political services of which he could never approve.37During the early negotiations for the formation of a new ministry, the Whig hierarchy, overruling the solitary protest of Grey, excluded Whitbread from consideration. Grey gave him this bitter news, but early on 5 June he received an urgent summons to town from Sheridan. On hurrying up he was introduced to Lord Moira, who was currently trying to form an administration, but had no intention of including the Whigs as a body. Whitbread was utterly deceived and excitedly told Grey that they were on the verge of office. He returned to Bedford on 6 June and came back to London the following day, only to find that the negotiations had collapsed, ostensibly over Grey’s and Grenville’s insistence on the removal of the Household. The vehemence with which he denounced their attitude caused great offence and convinced Grey that their friendship was in ruins. Moira still courted him for a day or two with the fantasy of a ministry which would revoke the orders in council, conciliate America and promote reform, but when he gave up his commission and the Regent turned to Lord Liverpool, Whitbread, ironically ‘out-whigged by Lord Grenville’, was brought back to reality. For the rest of his life he was an outcast from the main body of opposition.38 He supported repeal of the orders in council, 16 June, and Canning’s motion to consider Catholic claims, 22 June, but peace was the obsessive theme of his speeches in the closing days of the Parliament. He concluded attacks on the peace preservation bill, 10 and 13 July, with assertions that ‘a more favourable occasion for a general peace never existed’, and on 21 July, while denying Sheridan’s imputation that he had considered the recent French overture acceptable, he deplored the assumption that war must continue as long as Buonaparte held power in France. When the House resumed Whitbread made a mild protest against the further adjournment. Creevey urged him to ‘lay on the government’ for the encouragement of pro-Bourbon sentiment in Bordeaux, but he did not do so, and early in April he told Sheridan’s son of his ‘entire satisfaction’ with the state of France after Buonaparte’s abdication.43 His later qualms over threats to resurrect the slave trade and the blockade of Norway were shared by the bulk of opposition. He concurred in the address on the Treaty of Paris, 29 June, when he praised Castlereagh, applauded the bloodless restoration of the Bourbons, but dissented from the claim that the conclusion of the war justified British policy in its prosecution. On 20 July he expressed his concern at the continued presence of British armed forces on the Continent and his hope that justice would be done to Norway, Poland and Genoa at the forthcoming congress. He opposed the colonial offices bill, 18 Apr. and 6 May, supported the censure of Speaker Abbot for his anti-Catholic prorogation speech, 22 Apr., when he tried to have him deemed guilty of breach of privilege, and backed Romilly’s bid to ameliorate the treason laws, 25 Apr. He approved Wellington’s annuity, 12 May, opposed the expulsion of Lord Cochrane, 5 July, and denounced the Aliens Act renewal bill and the grant to German war victims, 14 July. The equivocal position which Whitbread’s conflicting interests as landowner, brewer and reformer drove him to adopt on the Corn Laws earned him a strong expression of disapproval from the left, where his silence in the debates on Parnell’s proposals was sharply criticized. When he presented the Bedfordshire petition against alteration of the Laws, 3 June 1814, he declared himself in favour of the measure, but argued that it should be deferred, in view of the prevailing clamour. He opposed the corn importation bill in 1815, maintaining that legislation was both futile and potentially divisive, and advocated instead an improved mode of taking the averages, to be followed by a period of assessment. Although he voted consistently against the bill, his explanations of his attitude remained ambiguous and the brewery was attacked during the riots of early March. Whitbread supported inquiry into the civil list accounts, 14 Apr. and 8 May, and opposed the aliens bill, 17 and 18 Apr., and renewal of the property tax, 19 Apr. and 5 May; but it was the situation in Europe which obsessed him and his pronouncements on it became almost hysterical. On 20 Apr. he denied having eulogized Buonaparte, observing that he had ‘discovered some littleness in his conduct when in prosperity, which took away from his greatness’, but that he had ‘perceived in the conduct of his imitators in the Congress of Vienna’, including Castlereagh, ‘a degree of littleness which was still worse’. He tormented Castlereagh over the terms of the allied treaty of March; moved an address of protest against a war of extermination against Buonaparte, 28 Apr., which was lost by 273 votes to 72; voted for receipt of the City petition, 1 May; accused Castlereagh of involvement in ‘diplomatic treachery’ over Naples, 2 May, and quizzed him on the official attitude to renewed war, 22 May. 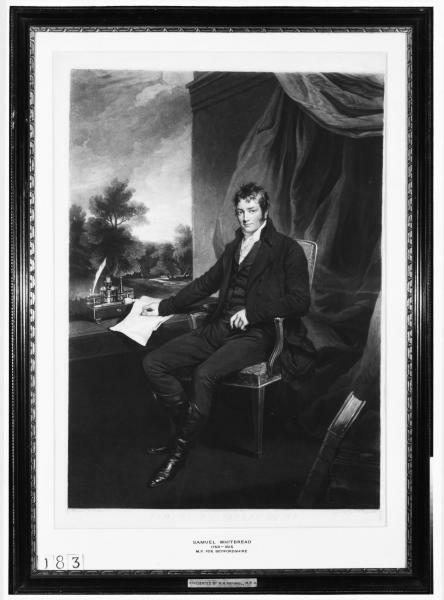 He gave a silent vote for the Whig amendment to the address, 25 May; mustered 17 votes against the grant of war subsidies, 26 May; spoke for Catholic relief, 30 May, and voted for inquiry into the Regent’s expenditure the following day. I have seen him repeatedly quit a strong question which he could have urged with great power to run after some tub which had been purposely thrown out for him by his adversaries, and which he struck at totally without effect. In Parliament, his bad taste, and, what is perhaps the same thing, want of judgment: above all, his impracticable disposition, and total want of co-operation, diminished greatly the advantages which might otherwise have been derived from his great ability as an orator, his experience, and his incorruptible firmness. Whitbread’s career ended in political failure and personal tragedy. It might have been otherwise had he obtained office with the ‘Talents’, though this can hardly be taken for granted. By 1808 the breach which had been opened between him and Grey was being inexorably widened by the intrusion of basic differences in their political attitudes. Whitbread’s personal disappointment and political extremism became mutually sustaining. It would be unfair to question the sincerity of his espousal of reform, even more so that of his campaign for peace; but his motives were complex, his emotions tangled, his ties with orthodox Whiggism too close to be severed completely and his ambitions for office still keen. Consequently, his extremism was fitful, erratic and often equivocal and his radical potential was never fully realized. He might well have been able to make a valuable contribution to the development of the Whig party, but such opportunities as occurred after 1808 to re-establish a durable working relationship were lost as a result of his own wilfulness, his jealous resentment of Grey, his susceptibility to the flattery of the mischievous and largely insignificant men with whom he surrounded himself and, not least, Grey’s failure to assert his authority over Whitbread, whose waywardness was a symptom as much as a cause of the disarray of opposition in this period. it is no slight homage to his character that at a moment when the grief of everybody seemed to be engrossed by some loss in the battle of Waterloo, his death should have made so deep and so general an impression. Truth is that, with all his failings—and some he had—he was not only an able and honest, but a most useful public man. 1. R. Fulford, Samuel Whitbread (1967), 5, correcting DNB and other works of reference where Whitbread is said to have been born in 1758, gives 17 Jan. 1764; but Beds. Par. Reg. viii. p. vii gives 18 Jan. 1764, a date confirmed by a letter to Whitbread from his father, 18 Jan. 1785 (Waldegrave mss). 2. Waldegrave mss, Whitbread I to Whitbread II, 25 Jan., 27 May, 6 Sept. 1785, 17 May 1787, Whitbread II, 25 Jan., 27 May, 6 Sept. 1785, 17 May 1787, Whitbread II to Whitbread I, 8, 13 May, 1, 22 June, 13 July, 18 Sept. 1787; Verney Letters of 18th Cent. ii. 289; Whitbread mss W1/1807-11, 1817-22; Le Marchant, Althorp, 176; Fulford, 46-47. 3. Sheridan Letters ed. Price, i. 238. 4. Fox Corresp. iii. 67; Portland mss PwF237; Geo. III Corresp. ii. 1329; Beds. RO, Lucas mss L30/9/73/16, 18. 5. J. R. Poynter, Society and Pauperism, 55-61. 6. Fulford, 88-96; P. Mathias, Brewing Industry in England, 308-9; D. Rapp, ‘Social Mobility in 18th Cent.’, Econ. Hist. Rev. (ser. 2), xxvii (1974), 383-4. 7. G. Chalmers, Parl. Portraits (1795), ii. 83; Geo. III Corresp. ii. 1521; The Times, 19 May 1797; Jnl. of Lady Holland, ii. 38; Whitbread mss W1/870, 2328-43. 8. Grey mss, Whitbread to Grey, 7 Dec. 1801, 28 Jan., 5 Feb., reply 31 Jan. 1802. 9. Grey mss, Whitbread to Grey, 28 Oct., 12 Dec. 1802, 22 June, 12 Nov., 6 Dec. 1803, 31 Mar., 18, 19 Apr., Grey to his wife, 7 Mar. 1804; Whitbread mss W1/886; Add. 47565, ff. 123, 127. 10. Geo. III. Corresp. iv. 3071; PRO 30/9/15, Whitbread to Abbot, 11 Apr. 1805; HMC Fortescue, vii. 261-2; Howell, State Trials, xxix. 625-71, 1392-1423; Horner mss 3, f. 48; Leveson Gower, ii. 190, 199; Holland, Mems. Whig Party, i. 234. 11. Holland, i. 219; Le Marchant, 179; Grey mss, Grey to Whitbread , , , replies 7, 9 Feb. 1806. 12. Grey mss, Grenville to Howick, 6 Aug., 18, 21 Sept., Whitbread to same, 4, 7, 9, 19, 22, 23, 26 Sept., 14 Oct., replies 19, 20, 22, 26 Sept. 1806; HMC Fortescue, viii. 257, 320, 338, 347, 349. 13. Whitbread mss W1/896-7; Morning Chron. 5, 8 Nov., 2, 5 Dec.; Grey mss, Whitbread to Howick, 10, 12, 16 Dec., replies 17, 27 Dec. 1806; Beds. RO, Antonie mss UN 422-3; Brougham, Life and Times, i. 391-2; Holland, ii. 76; Jnl. of Lady Holland, ii. 194-5, 196-7, 208-10; Add. 41852, f. 287; Harewood mss, Canning to his wife, 6, 7, 9 Mar. 1807. 14. Grey mss, Whitbread to Howick, 15, 17 Feb. 1807; Melville, Cobbett, ii. 5; Poynter, 207-22. 16. Ibid. ii. 237; Grey mss, Grey to Holland, 6 Dec., Tierney to Grey, 7 Dec., Bedford to Grey, 19 Dec. 1807; Add. 41852, f. 323; HMC Fortescue, ix. 147-9; Buckingham, Court and Cabinets, iv. 218; Lansdowne mss, Holland to Petty, 11 Dec. 1807; Herts. RO, Panshanger mss D/EP, box 16, Lamb’s autobiog. 17. Grey mss, Tierney to Grey, 14 Dec. 1807; Hants RO, Tierney mss 33d, 72b, 72c; Whitbread mss W1/2434-7. 18. Grey mss, Grey to Whitbread, 28 Dec. 1807, to his wife, 11, 15, 19 Jan., Whitbread to Grey, 3 Jan.; Waldegrave mss, Whitbread to unknown, 20 Jan. 1808; Holland, ii. 240-2; Jnl. of Lady Holland, ii. 236-7. 19. Grey mss, Grey to his wife, 21 Jan.-2 Mar. passim; Waldegrave mss, Whitbread to unknown, 20, 23, 25 Jan., to Ponsonby, 14 Feb. 1808. 20. Whitbread mss W1/2442, 4190, 4199, 4200; Waldegrave mss, Whitbread to Grenville, 10, reply 16 May; Add. 41852, ff. 354-6; Grey mss, Ponsonby to Grey, 21 May, Tierney to same, 24, 26 May, 8 June, 12 July, Whitbread to same [26 May], 6, 16 June, Grey to Whitbread, 29 May, 13 June 1808. 21. Grey mss, Whitbread to Grey, 6 June, 17 Sept., 6 Nov., Tierney to same, 12 July, 7 Dec., Grey to Whitbread, 8, 10 July, 31 Oct., 13, 20 Nov. 1808; Creevey Pprs. ed. Maxwell, i. 88-89; Pol. Reg. 23 July; Lansdowne mss, Grey to Petty, 18 Nov. 1808. 22. Whitbread mss W1/373/6-11, 2446, 4430-4; Creevey Pprs. i. 91-92, 94; Cartwright Corresp. i. 376-80; Grey mss, Whitbread to Tierney, 27 Dec. 1808, Tierney to Grey, 16, 18, 19 Jan.; Waldegrave mss, Ponsonby to Whitbread, 14 Jan. 1809; Add. 41853, f. 5; HMC Fortescue, ix. 269; Buckingham, iv. 300, 304. 23. Grey mss, Whitbread to Grey, 29 Jan., 9 Feb., Tierney to same, 1, 10, 25 Feb. 1809; Whitbread mss W1/373/12; Tierney mss 33c. 24. Whitbread mss W1/452; Grey mss, Whitbread to Grey, 29 Jan., 9 Feb., Tierney to same, 1, 25, 27 Feb. 1809; Brougham mss 413; Geo. III Corresp. v. 3832; Wentworth Woodhouse mun. F32/65; Spencer mss, Grenville to Spencer, 24, 28 Mar. 1809; HMC Fortescue, ix. 284-5. 25. Procs. Westminster Elector, 29 Mar. 1809, pp. 25-32; Berks. RO, Pleydell Bouverie mss O25/69; Spencer mss, Grenville to Spencer, 30 Mar. 1809; Add. 27838, f. 347; 41853, f. 11; 41854, ff. 243, 246; HMC Fortescue, ix. 287; Whitbread mss W1/373/13, 2462, 2467, 4435-6; Morning Chron. 22 Apr., 3 May 1809; Tierney mss 72d. 26. Grey mss, Grey to his wife, 13, to Whitbread [14 May], Whitbread to Grey, 14 May, Grenville to Grey, 15 May; Waldegrave mss, Whitbread to Grenville, 13 May, reply 15 May 1809. 27. Creevey’s Life and Times, 44; Whitbread mss W1/373/15, 17; 2479; Grey mss, Grey to Whitbread, 26 Sept., 17 Nov., to Tierney, 18, 30 Nov., Lauderdale to Grey [10 Oct., 19, 21 Dec.], Tierney to same, 15, 23 Nov., 5, 9, 12 Dec., Whitbread to Grey, 23 Nov. 1809; Creevey Pprs. i. 98-100, 109-12; Tierney mss 33p, 72f, 72k; HMC Fortescue, ix. 407, 435, 437-8; Jnl. of Lady Holland, ii. 251; Add. 41858, ff. 1, 10; 51534, Grenville to Holland, 4 Jan. 1810; 51576, Whitbread to same, 13 Dec. 1809; 51658, Whishaw to Lady Holland, 22 Dec. .
28. Grey mss, Tierney to Grey, 21, 26 Dec. 1809, Grey to his wife, 2 Jan., to Whitbread, 9, 12, 15 Jan., to Holland, 12 Jan., Whitbread to Grey, 11, 16 Jan., Grenville to same, 18 Jan. 1810; Tierney mss 72g; Whitbread mss W1/375, 2499; Creevey Pprs. i. 117-18, 121; Add. 51537, Holland to Grey [13 Jan.] 1810; Lady Bessborough and her Family Circle, 201-2. 29. Creevey Pprs. i. 123, 128; Buckingham, iv. 421; Grey mss, Grenville to Grey, 29 Jan.; Harewood mss, Canning to his wife, 6 Mar. 1810; HMC Fortescue, x. 20; Fortescue mss, Fremantle to Grenville , [30 Mar.] 1810. 30. Whitbread mss W1/2506; Cartwright Corresp. i. 395-400. 31. Statesman, 20 Apr. ; HMC Fortescue, x. 26-27, 29-30; Grey mss, Grenville to Grey, 23, 27 Apr. ; Waldegrave mss, Grenville to Whitbread, 23 Apr., 1 May, replies 25 Apr., 4 May, Bedford to same, 5,  May, replies 6, 9 May; Morning Chron. 9 May; Examiner, 27 May 1810; Whitbread mss W1/4444-6, 4448; Cartwright Corresp. i. 400-2. 32. Buckingham, iv. 419; Grey mss, Whitbread to Grey, 11, reply 12 Jan., Grenville to Grey, 29 Jan. 1810. 33. Grey mss, Tierney to Grey, 5, 7 Nov., 22 Dec., Whitbread to same, 23 Dec. 1810, 19 Jan. 1811, Grey to Whitbread, 17, 30 Dec. 1810; Glenbervie Diaries, ii. 111-12; Add. 51549, Lady Holland to Grey [24 Dec. 1810]; Ward, Letters to ‘Ivy’, 123; HMC Fortescue, x. 98, 110-13; Horner mss 5, ff. 11, 13; Whitbread mss W1/912, 915; Creevey Pprs. i. 136-8, 142; ii. 117-18; Holland Further Mems. Whig Party, 87; Jnl. of Lady Holland, ii. 285-8; Waldegrave mss, memo, 20 Jan. 1817. 34. Grey mss, Tierney to Grey, 24 Feb., 5 Mar. 1811; Phipps, Plumer Ward Mems. i. 398-9; Add. 51585, Tierney to Holland [1 June] 1811; Whitbread mss W1/2530, 4450-2, 4455. 35. Lansdowne mss, Lady Holland to Lansdowne [May]; Grey mss, Tierney to Grey, 29 Oct., 23 Nov. 1811; NLW mss 2791, C. to H. Williams Wynn, 7 July 1812. 36. Waldegrave mss, Waldegrave to his mother [9 Jan.]; Harewood mss, Canning to his wife, 15, 28 Jan., 20 Feb. 1812; Buckingham, Regency, i. 223. 37. Harewood mss, Canning to his wife, 29 Feb., 7 Mar. 1812; Phipps, i. 436, 449; HMC Fortescue, x. 237-8, 243-6; Fortescue mss, Fremantle to Grenville, 15 Apr., 8 May; Grey mss, Grenville to Grey, 12 May 1812; Regency, i. 295. 38. HMC Fortescue, x. 254, 263, 265; Creevey Pprs. i. 157-9, 164-5; Grey mss. Whitbread to Grey [6 June], Grey to Holland, 7 June 1812; Regency, i. 377; P. H. Fitzgerald, Geo. IV, ii. 102; Waldegrave mss, memo . 39. Add. 51545, Holland to Grey, 21 Oct., 10, 19 Dec.; Grey mss, Grey to Holland, 25 Oct., 13 Dec., Grenville to Grey, 28 Nov., Tierney to same, 28 Nov., 12  Dec. 1812; HMC Fortescue, x. 313. 40. Grey mss, Goodwin to Grey, 5 Feb., Tierney to same, 11 Feb. 1813; Cartwright Corresp. ii. 56-58. 41. Croker Pprs. ed. Jennings, i. 304-6; Ward, 193, 195; Fortescue mss, Fremantle to Grenville, 6 Mar. 1813; Creevey’s Life and Times, 67-68; C. New, Brougham, 98; Heron, Notes (1851), 14; Further Mems. Whig Party, 174-6; Romilly, Mems. iii. 92-94; Whitbread mss W1/389; Creevey Pprs. i. 181-3. 42. HMC Fortescue, x. 355-6; Grey mss, Grenville to Grey, 3 Nov. 1813, Tierney to same, 5 Jan. 1814; Further Mems. Whig Party, 183; Horner mss 5, f. 362; Ward, 231; Whitbread mss W1/2567. 43. Whitbread mss W1/415; Creevey Pprs. i. 190-1. 44. New, 101-15; Creevey Pprs. i. 199-200, 204; Whitbreadmss W1/419. 45. Whitbread mss W1/4169, 4467; Cartwright Corresp. ii. 80-84. 47. Colchester, ii. 529; Sheridan Letters, iii. 217; Creevey Pprs. i. 214; Romilly, iii. 161-2. 48. Creevey Pprs. i. 241-2; Brougham, Life and Times, ii. 283; Romilly, iii. 191; Waldegrave mss, Waldegrave to his mother [7 July 1815]; Diary of Lady Shelley, i. 84-85. 49. F. Phippen, Authentic Account of Whitbread (1815), 5-17; Farington, viii. 18, 23, 43; Pope of Holland House ed. Lady Seymour, 102; Parkes and Merivale, Mems. Sir P. Francis, ii. 404; Sidmouth mss, Sidmouth to J. H. Addington, 8 July 1815; Lady Bessborough and her Family Circle, 247; Heron, 57, 70. 50. Creevey Pprs. i. 242; Diary of Lady Shelley, i. 85; Jerningham Letters, ii. 70; Phipps, i. 342, 403; Glenbervie Jnls. 158; Further Mems. Whig Party, 214; Heron, 57; NLW mss 4814, Williams Wynn to Southey, 8 July 1815; Moore, Byron Letters (1851), ii. 208; Life of Wilberforce (1838), v. 339. 51. Further Mems. Whig Party, 214; NLW mss 4814, Williams Wynn to Southey, 8 July 1815; Heron, 57; Romilly, iii. 191. 52. Grey mss, Holland to Grey, 17 July 1815; Life of Wilberforce, v. 99.